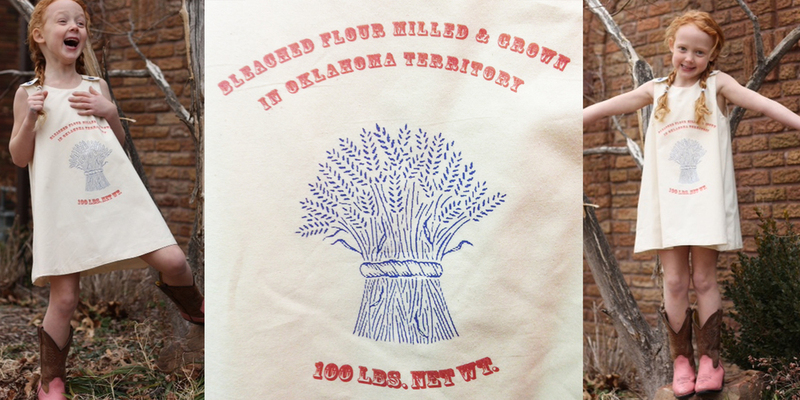 We love locally made items ... and we REALLY love locally made Oklahoma inspired items! Check out these super cute kids dresses by Kalico Designs! Loving the Oklahoma pocket idea! Using the folk process, Bob lifted lyrics from an 1878 F. W. Root parlor song called “Sunday Night”. Bob and the Playboys recorded Ida Red in 1938 for the Vocalion label. During Bob’s short lived Hollywood career, he and the Playboys performed this version in two of his films, Go West, Young Lady and Blazing the Western Trail. 14 years later Bob would record a second version called “Ida Red likes the Boogie”. This song stayed on the charts for 22 weeks peaking at number 10. 19 years later, a die hard Bob Wills fan and musician quickened the beat and rewrote the lyrics of Ida Red to tell the story of a car race. He recorded the song on May 21, 1955 for Leonard Chess of the Chess Record label. The song went to number 1 on the R&B charts and number 5 on the Billboard charts. His name – Chuck Berry. The song is Maybellene. With this reworked version of Ida Red, Chuck Berry became the first African American to integrate the Billboard chart. Rolling Stone listed Maybellene as number 18 out of the 500 most important songs in Rock n Roll history.